The Opening Night Party at Technopolis will start at 7 pm. Use your Metro pass to get there. Get off at the Kerameikos (Exit- Technopolis). TBEX Athens attendees are in for a real treat at the Opening Night Party at Technopolis. You won’t want to miss it, but you must be registered to attend. The City of Athens will welcome all TBEX attendees at one of the biggest post-industrial venues in Europe – Technopolis, the Athens’ Natural Gazi museum – for an evening full of music, art and Mediterranean flavors. 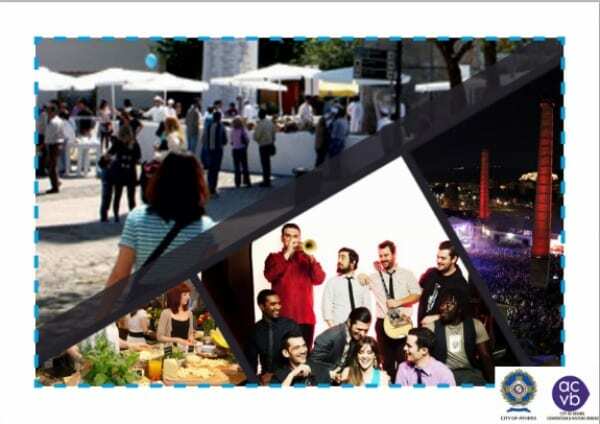 Technopolis, situated in the former gasworks, is located in the hipster Kerameikos-Gazi area, surrounded by bars, clubs, and live concert stages. This multifaceted party, especially prepared for you, will incorporate various exciting elements such as a Greek Village, live concert and dance stages, and performing arts. In the Greek Village you will have the opportunity to explore products from all over Greece, from food to art and jewelry. Taste unique traditional and local Greek food, taste wine, beer and other Greek beverages, observe handmade jewelry creations, folk art, and much more. Admire live performing arts from Greek artists and dance away to the sounds of modern popular Greek bands and live DJ sets. A wonderful trail leads through the grounds, giving attendees a chance to explore Greek beauty projected against the museum’s interior. A very big Thank You to the City of Athens, ACVB for sponsoring this opening night party. It’s going to be a fabulous evening of entertainment and fun. Remember, the opening night party is a badged event, you must be registered to attend. Way cool Mary Jo. This place is huge. You really could get lost here 🙂 A great place to network. It’s a great venue, isn’t it? We only got a chance to see a small part of it that evening after the trade conference. I’m looking forward to an evening to explore it more. This place is so cool! You guys who are attending do NOT want to miss this!! It looks great, this will be my first TBEX so looking forward to participating and learning. Excellent! The countdown has begun! We’ve got some preliminary information up about the dates and destinations, and will update with itinerary, themes, and activities as soon as we know more. They look like they’re going to be terrific. Gazi and Technopolis is a great area – very relaxed, ‘hip’ and the perfect spot to welcome visitors to Athens for the first night and show you all how a party is done Greek style! I’m really looking forward to it. It’s a fun venue and our hosts have some very special surprises in store for us. This sounds great! I’m confused though – do I need to register for the party as well, or is my TBEX registration enough? Your TBEX registration gives you admission to the opening night party. Looking forward to seeing you there. It’s a great venue. I’m just sorry that I’m not going to be able to make it afterall. Slightly frustratingly, I’ll be in Greece, but now with other (travel blogging) commitments. Sorry you can’t make it, Paul. I enjoyed visiting Technopolis during the Travel Trade Fair, and the party is an opportunity to explore even more. Can’t wait to meet everyone old friends & new friends! See you all there.